It appears that the amended Immigration Bill, which received Royal Assent last month to become an Act of Parliament, is likely to take effect from October this year. There had been a great degree of uncertainty over the exact requirements of the new legislation as well as when it would take effect. A more detailed announcement is likely to be made by Government minister’s before Parliament ends on 22nd July for the summer break. National landlord associations, lettings and property managing agents, private landlords and even home owners taking in lodgers under the national ‘Rent-A-Room’ scheme will have to perform the detailed background checks on all potential tenants to ensure they are legally entitled to be resident in the UK.Landlords or their appointed agents could face fines running into thousands of pounds for failing to undertake the necessary tenant background checks or failing to prevent illegal immigrants from renting property in the private rented sector (PRS), when they are not legally entitled to. 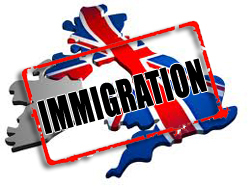 The Royal Institution of Chartered Surveyors (RICS), The National Landlords Association (NLA) and the Residential Landlords Association (RLA) have already voiced strong opposition to the amended immigration bill, with suggestions that the Government are wrong to ask landlords and their appointed letting or managing agents to operate as unpaid members of the UK Border Agency. An impact assessment statement issued by Government minister’s claims that housing is an important enabler of illegal migration which is why letting agents and PRS landlords will be required to check the residency status of all tenant applicants from October onwards. The Government also claim that the amended Immigration Bill is also intended to tackle the exploitation of migrants by rogue landlords. There are many aspects to being a PRS landlord, however performing background checks on all potential tenant applicants is a task that should be handled by professional service providers who have the required knowledge, skills, expertise and appropriate systems to enable such detailed background checks – experts like Legal4Landlords. This was written by Mike Clarke. Posted on at 11:45 am. Filed under Referencing. Tagged applicants, background checks, exploitation, Government, illegal, immigrants, immigration bill, landlord, legal4landlords, letting agents, managing, migrants, ministers, MP's, national landlords association, NLA, private rental sector, Private rented sector, property management, prs, rent a room scheme, residential landlords association, RICS, RLA, royal institution of chartered surveyors, systems, tenant, tenant referencing, UK Border Agency. Bookmark the permalink. Follow comments here with the RSS feed. Both comments and trackbacks are currently closed.